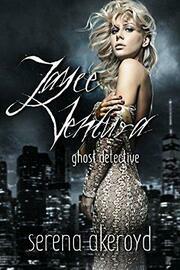 Jayce Ventura, ghost detective, has nothing but the deceased as friends. With no love life, no social life, and only Ben and Jerry who'll put up with her, something's gotta give. But what? Jayce Ventura - Ghost Detective is a Stand-Alone, No Cliff-Hanger novella, however, it does lead on to another book in the series, with characters you will meet in the upcoming novels. This book is a sweet, paranormal romance with a kickass heroine who isn't afraid to swear, eat too much ice cream, or come face to face with things that go bump in the night. What does freak her out is LOVE. Watch out for more of the raunchy romance you've come to expect from Serena Akeroyd's books in the upcoming series.